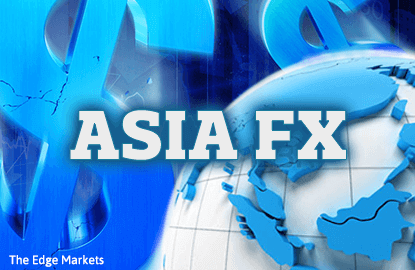 SINGAPORE/SEOUL (Jan 24): Asian currencies rose on Tuesday, as the dollar was dented by concerns over U.S. President Donald Trump's protectionist trade stance and investors awaited more details on his fiscal policy plans. The South Korean won touched its highest level in nearly seven weeks at 1,160.8 per U.S. dollar. The won later came off that high and stood at 1,165.6 in onshore trade. The dollar is likely to head lower in the near term, given the potential for dollar-selling by local exporters, ahead of the Lunar New Year holidays, Seoul-based traders said. Elsewhere, the Taiwan dollar touched a high of 31.306, its best level since early October. The Thai baht touched a high of around 35.19, its highest level since Nov 10. Adding to pressure against the dollar, Trump's nominee for Treasury Secretary Steven Mnuchin was quoted by Bloomberg as saying that an excessively strong dollar was negative in the short-term. The dollar could continue to capitulate lower, if the market continues to be fed protectionist headlines from the U.S. administration, while details of the much heralded fiscal stimulus remain scant, Emmanuel Ng, foreign exchange strategist for OCBC Bank, said in a research note. Trump formally withdrew the United States from the Trans-Pacific Partnership trade deal on Monday, distancing America from Asian allies. The rise in Asian currencies came as the dollar wallowed near seven-week lows against a basket of six major currencies. The dollar index stood at 100.07, having slipped to 99.899 on Monday, its lowest level since Dec 8. The market is reducing long positions in the U.S. dollar, said a trader for a Malaysian bank in Kuala Lumpur. If the dollar index breaks clearly below 100, it could fall back to the 98-99 area, the trader added. Some market participants said the dollar's downside could be limited for now, as investors wait to see whether Trump will deliver on his plans to stoke growth, spend on infrastructure and reduce taxes. "I'm not expecting a further sell-off in the dollar," said Masashi Murata, currency strategist for Brown Brothers Harriman in Tokyo. Murata noted that while the U.S. 10-year Treasury yield has slipped back over the past month, it still remained at roughly around 2.4%, well above the levels seen in early November before Trump's election win. Asian currencies probably have limited room to rise in the near term, Murata said, adding that the South Korean won was unlikely to see an extended rally to levels beyond the 1,100 level against the dollar.